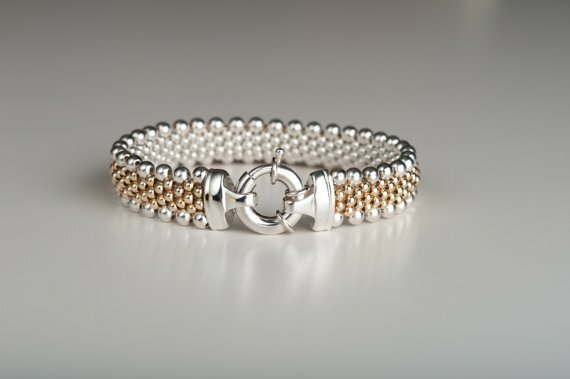 This bracelet is 1/2" wide, reversible with sterling silver on one side and two-tone 14k gold and sterling silver on the other. Featuring the Dovera Designs' exquisite sterling silver clasp. This is a great everyday bracelet and it goes with everything. 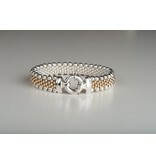 Due to the handmade quality of the jewelry, no Dovera is exactly the same. We hope you will enjoy the unique charm of your one-of-a-kind piece by artist Susanne Greelish.